Cheryl Khoo says Iowa State provides new ideas and a diverse community. While she was working as a quality control technician at BASF, Cheryl Khoo was given a major improvement project that helped her realize her interests spanned beyond chemical engineering. She says the project required her to track all non-conformance aspects of production to measure the company’s operational accuracy. Khoo earned her bachelor’s in chemical engineering from Iowa State in 2012. She is continuing to learn about the continuous improvement process as a master’s student in industrial engineering. 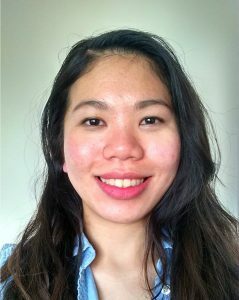 When she’s not studying or in class, Khoo works as a graduate assistant at the Nanovaccine Initiative, where she assists with grant admissions and research compliance, coordinates researchers from across the country, plans and hosts seminars, webinars and events, and maintains the group’s website. Khoo initially came to Iowa State because she wanted a slower lifestyle than the one she experienced in her home country of Malaysia. Now in Ames, she has enjoyed meeting people from across the world, including fellow Malaysians she had never met before coming to the United States. “It’s interesting to interact with so many different countries and assimilate into American life. Staying in Malaysia would not have given me this experience,” she said. In the future, Khoo plans to apply continuous process improvement in six sigma projects or in quality management. She also enjoys trying different types of coffee and brewing methods as a stress reliever, as well as home improvement projects and traveling.